Yes we did. 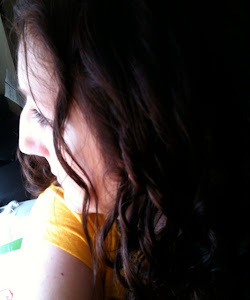 Using a simple gel dye that we found at the drugstore specifically touted as egg dye. 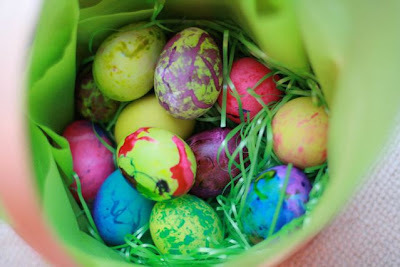 The spotted ones come from putting a little dye in a plastic bag before putting the egg in and swirling it around. The more artistic ones are Spud's creations using an eye dropper.